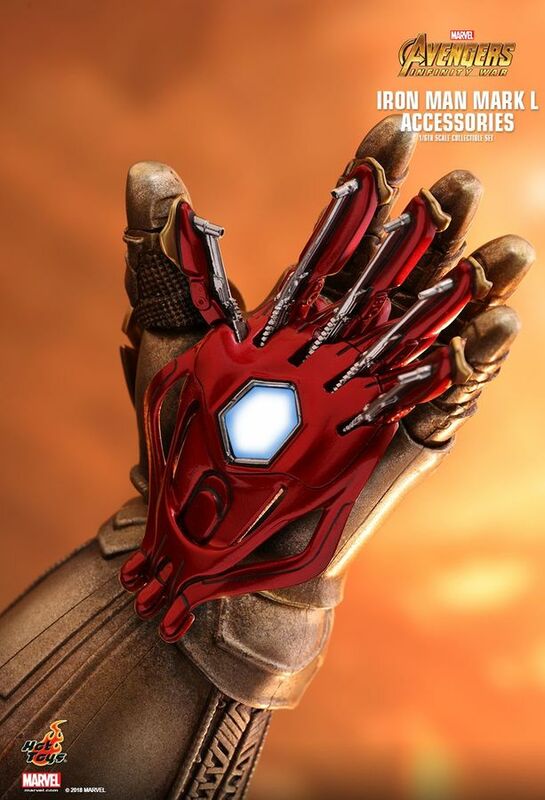 On a mission to collect all six Infinity Stones, Thanos plans to inflict his twisted will on reality. 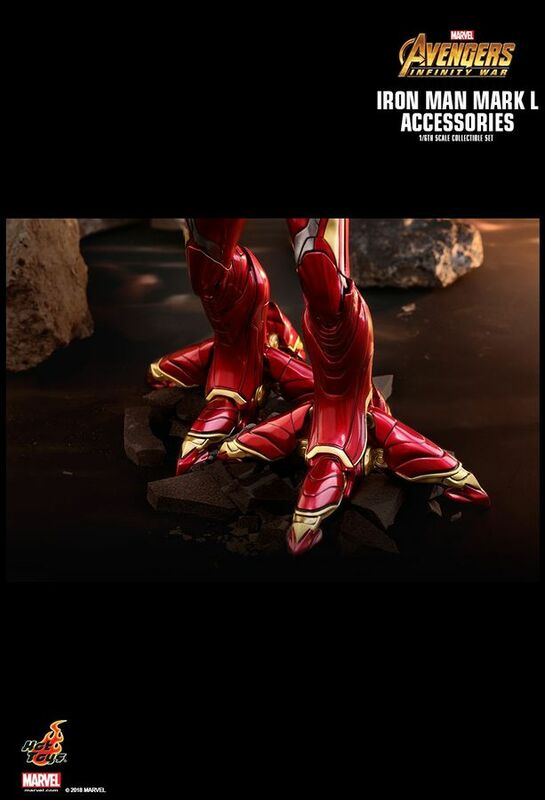 The fate of the planet has never been more uncertain as everything the Avengers have fought for has led up to that moment. 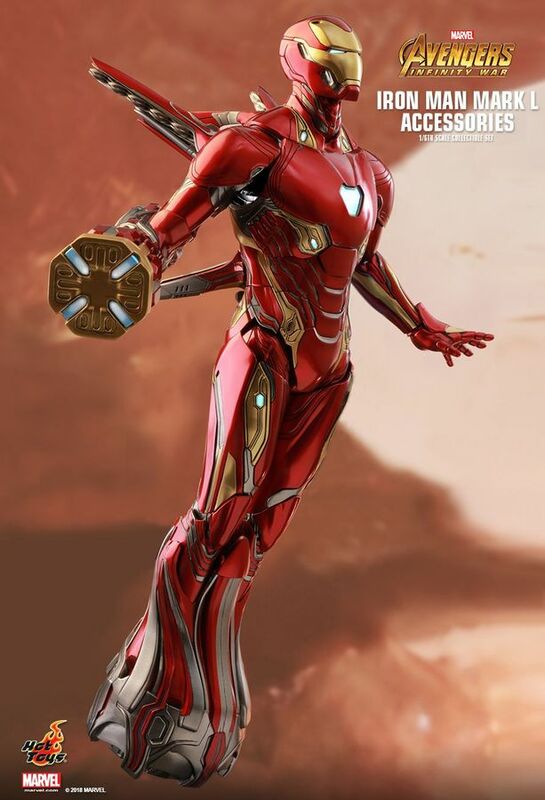 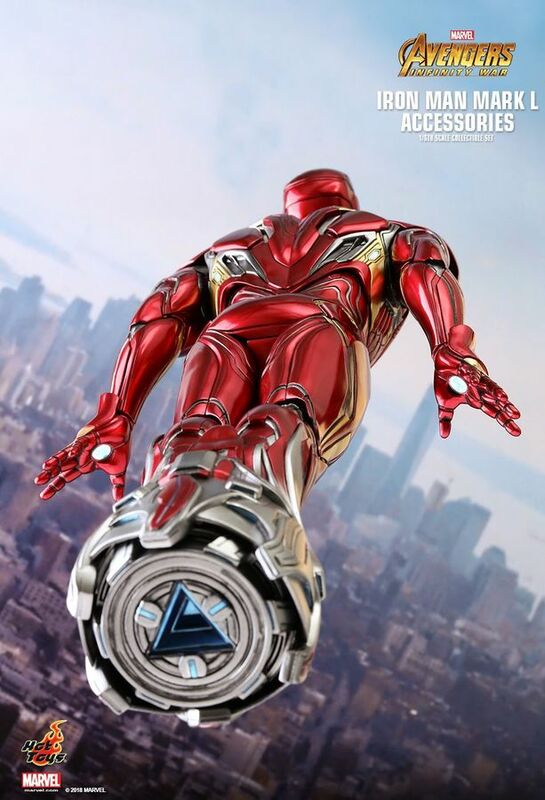 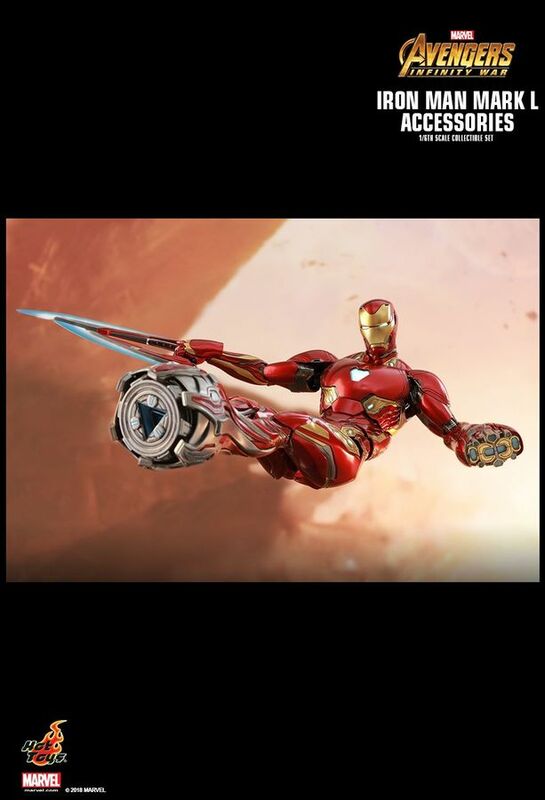 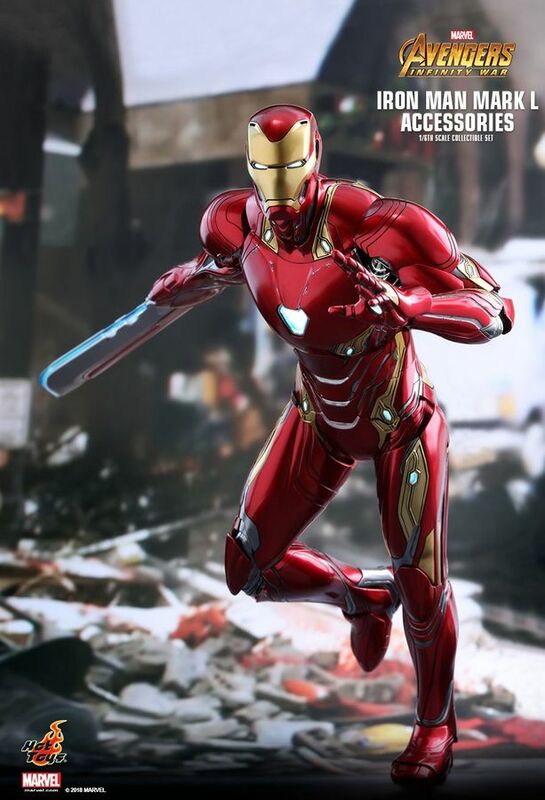 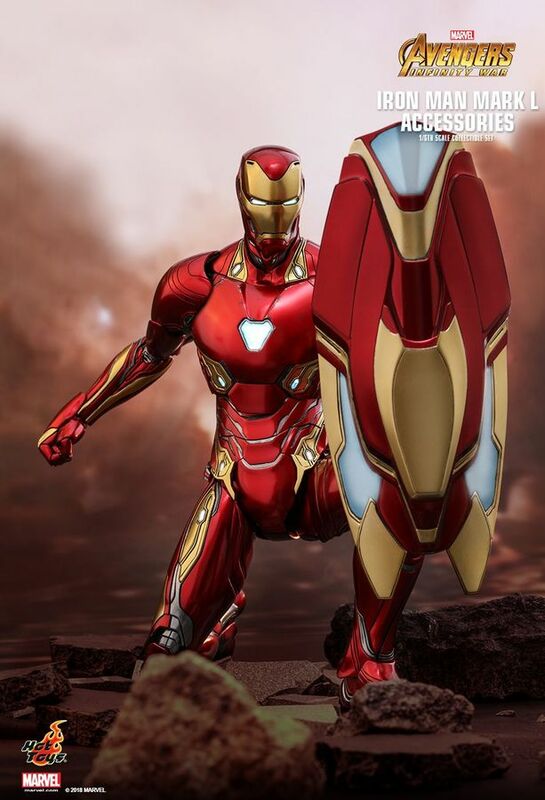 Today, Hot Toys is extremely proud to present the newly developed 1/6th scale Iron Man Mark L Accessories Collectible Set inspired by the latest Iron Man’s innovative technology with a variety of powerful weapons and accessories from Marvel Studios’ Avengers: Infinity War. 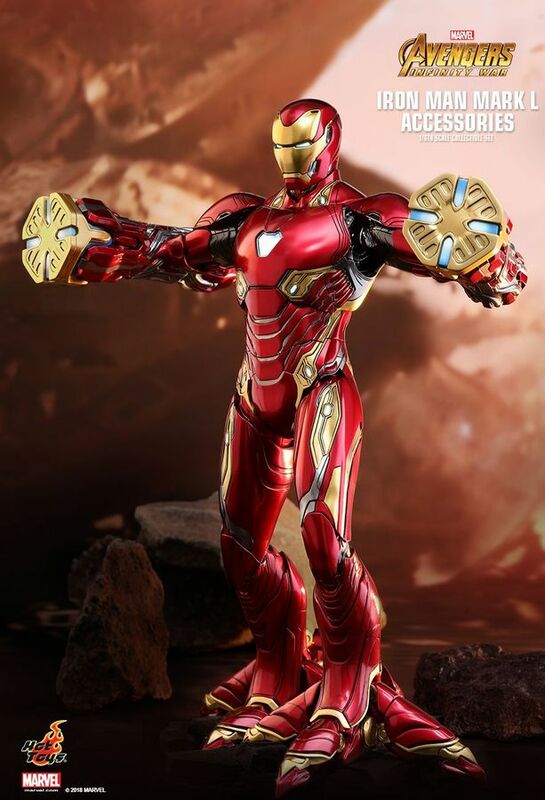 Expertly crafted based on the principles to reach the full expressions, the collectible set is a great complement to Hot Toys’ 1/6th scale Iron Man from the movie, featuring highly detailed interchangeable accessories includes a power mallet, Battering Ram, a hand blade, foot thruster, foot clamps, energy blade, katar, elliptical shield and a Gauntlet Constraint that fight against the Infinity Gauntlet. 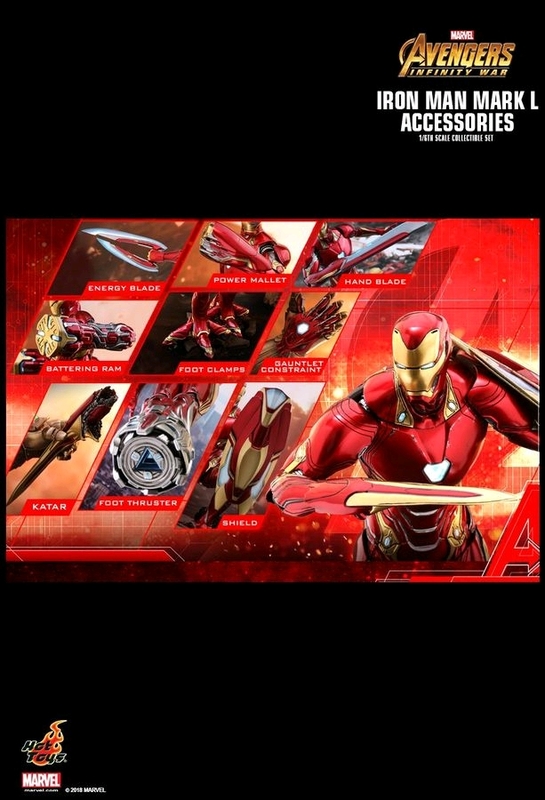 Moreover, an interchangeable battle damaged mask will be included as a bonus item exclusively in the Special Edition available in selected markets only! 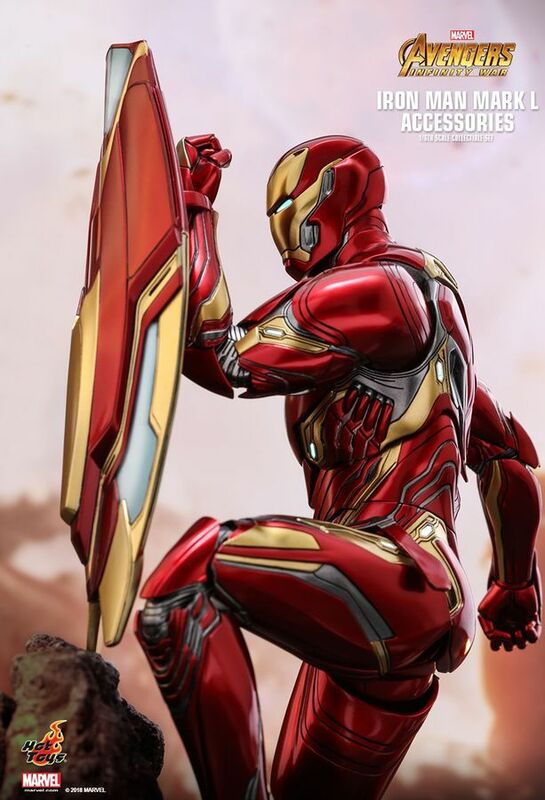 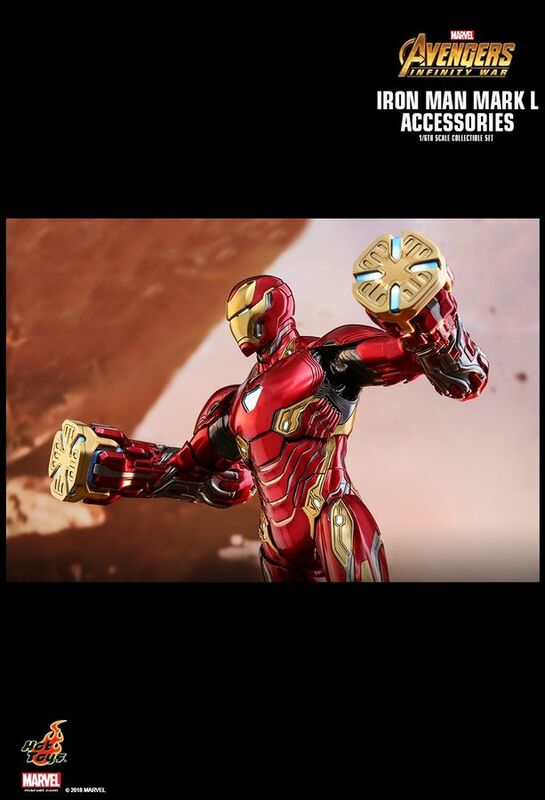 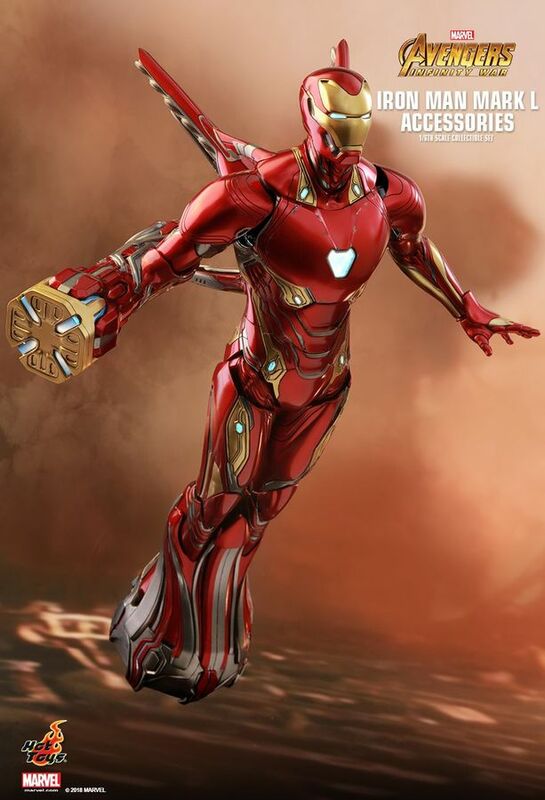 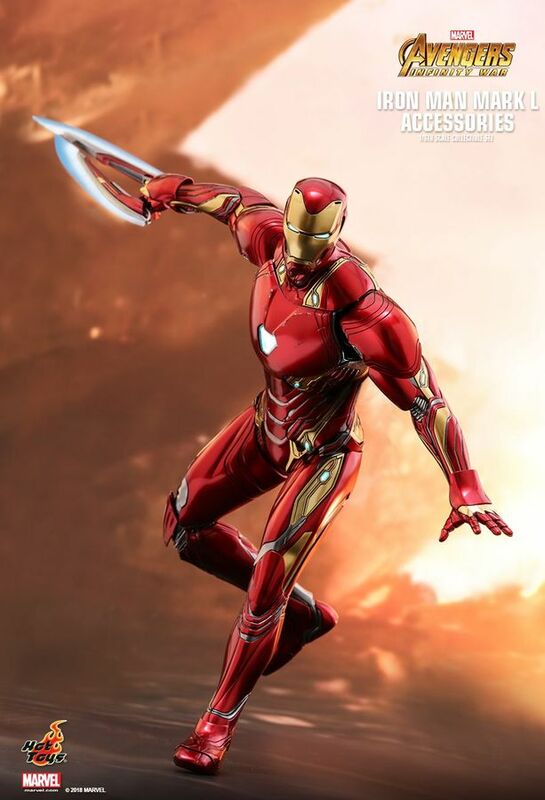 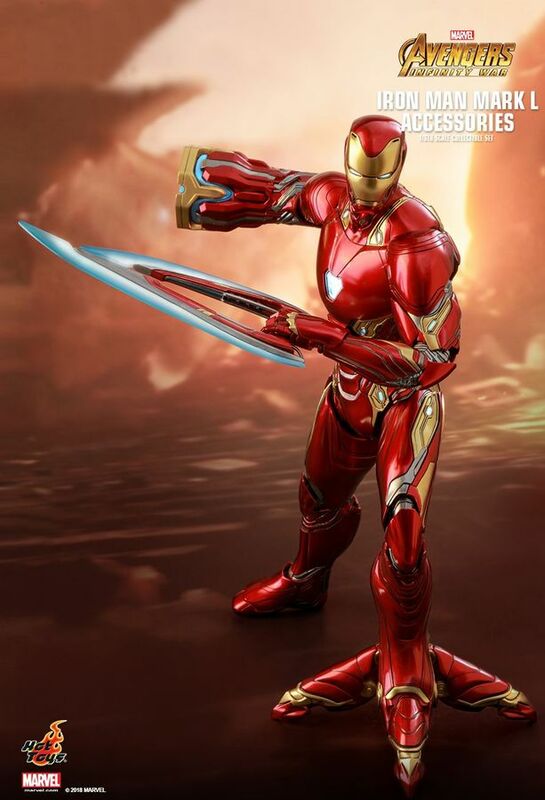 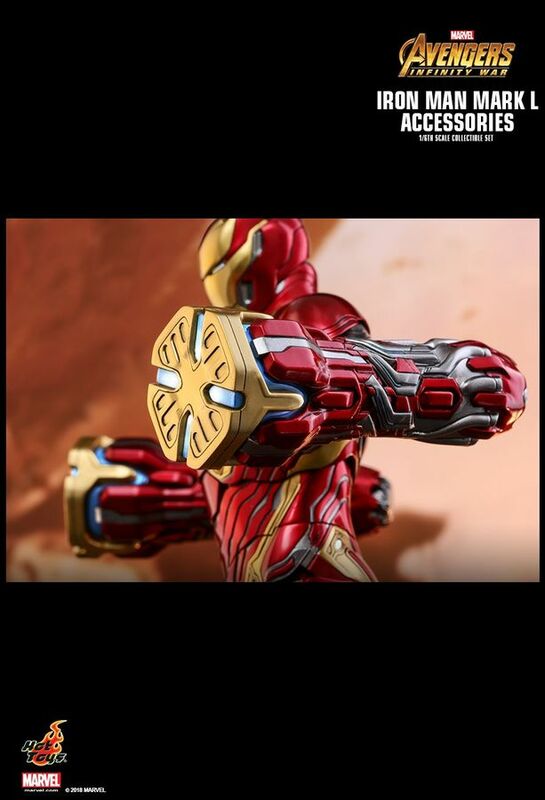 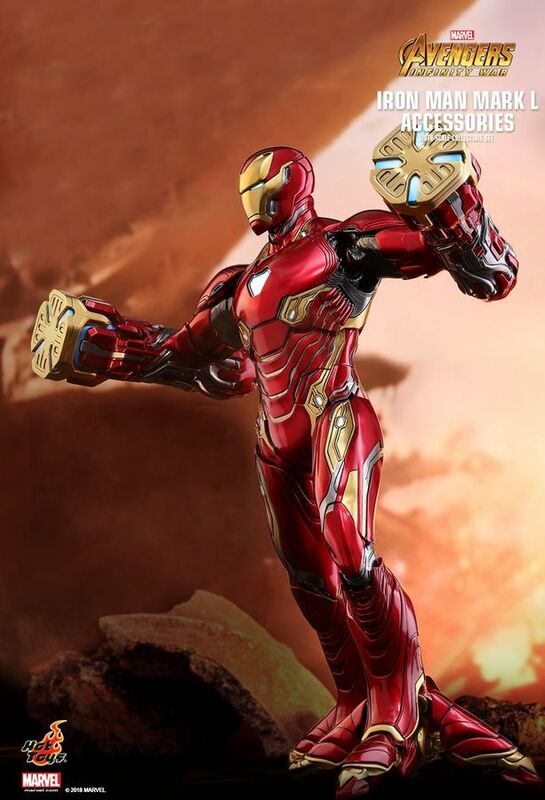 The Mark L Accessories Collectible Set initially designed for the latest Iron Man armor will ensure a special eye-catcher!